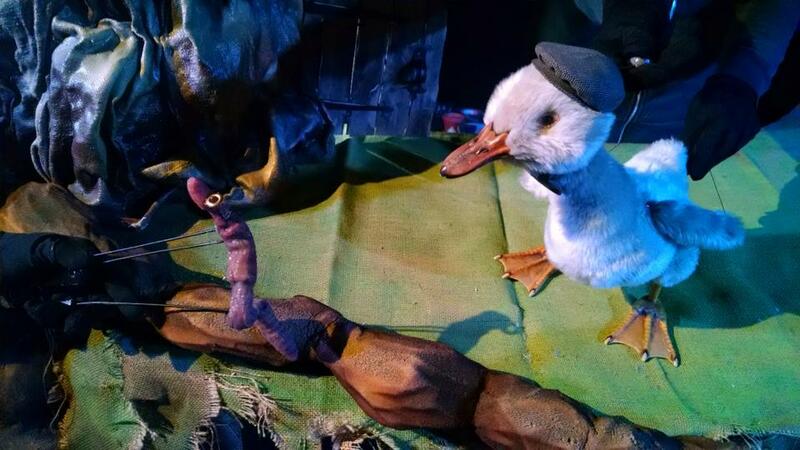 Puppetkabob's enchanting production What the Moon Saw is an artful adaptation of Hans Christian Andersen's Thumbelina combined with The Ugly Duckling and several other lesser-known tales. The story brings together two misfit characters who discover the value of true friendship when they team up to outwit their meddlesome nocturnal adversaries. 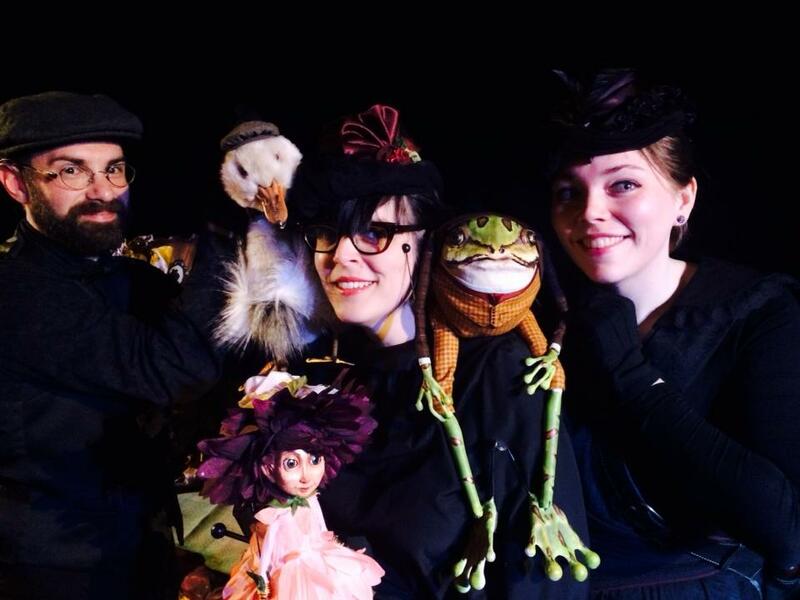 Under the watchful eye of the moon, 2 puppeteers and 1 musician bring characters to life on a multi-layered stage. Stumps and branches transform to reveal Miss Mousie's tree trunk hovel, Mr. Mole's dark lair, and the bouncy lily pads of Mr. Frog's pond. what people are saying about "What The Moon Saw"
"Sarah Frechette speaks with a unique artistic voice. She tackles heady topics in literature, science, and history and transforms them into charming, heartfelt stories. 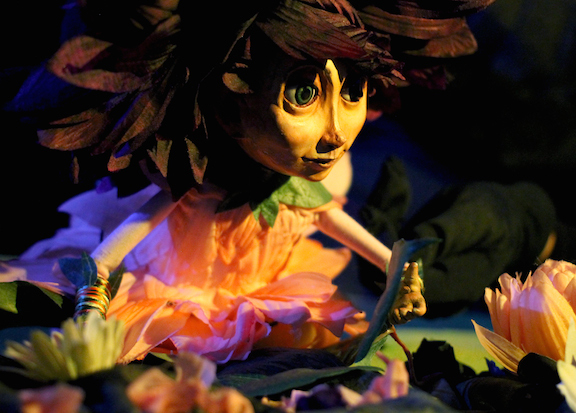 Her exquisitely designed characters and scenery captivate audiences of all ages"